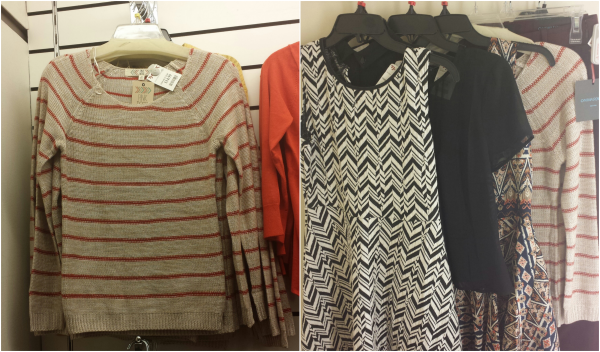 Last week I found out that I won the opportunity to go on a little fall shopping spree with Keiko Lynn at TJ Maxx! I’d totally forgot that I entered so it was a lovely little surprise. 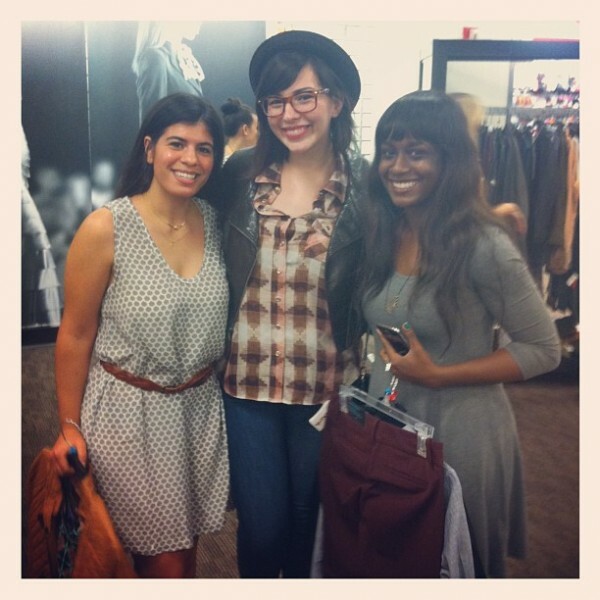 Even better, it turns out that a couple of other blogger friends, Lydia and Jessica, were also at the event. 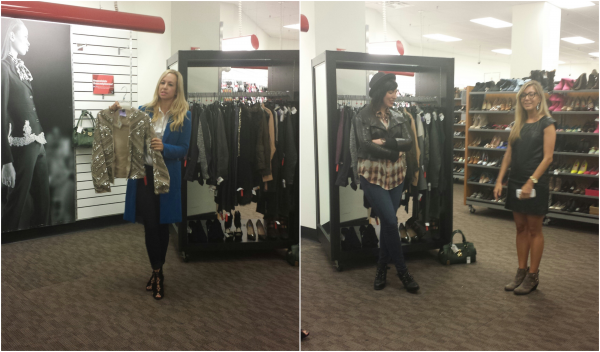 Keiko, and the other hosts of the event, shared the fall trends they loved, including leather, mod silhouettes, sequins, army green, booties and chunky knits. After that we were given a $100 gift card to spend on anything that we wanted in the store! It was so lovely to talk to Keiko, who is just as sweet as she appears on her blog and who was there to offer advice if we had styling questions. After shopping around for a bit, I ended up with a fun printed dress, burgundy pants, a cute faux leather jacket and a chambray shirt. I really love what I picked out and think that I can definitely wear these items in fall, as well as transition them into other seasons. Thank you so much to Keiko and TJ Maxx for such a fun experience. I can’t wait to wear my fall finds! P.S. 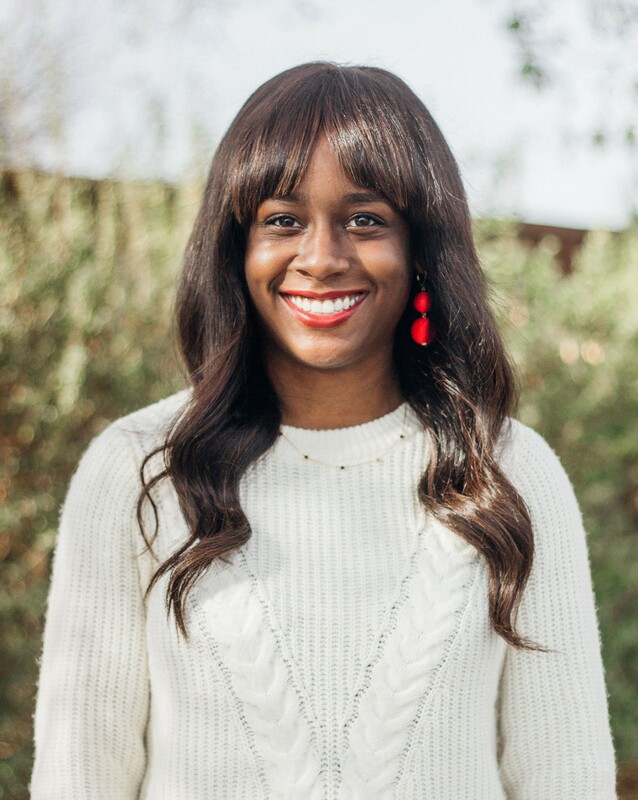 Did you know that you can now shop TJ Maxx online? Get on that!